The ancient mapmakers didn’t really know what was lurking outside the boundaries of the known world, but they figured it wasn’t going to be too pleasant to find out. So they drew fanciful beasts that were poised to devour those who ventured into uncharted seas. 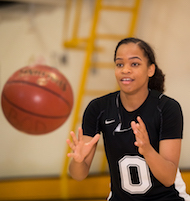 Girls basketball teams in the West Alameda County Conference, however, know all too well what awaits them when Bishop O’Dowd shows up on the other side of the scorer’s table. Yet that doesn’t keep them from being devoured by these flesh-and-blood Dragons. After all, it’s been 100 straight wins for O’Dowd over league opponents. It’s a string that extends through all 10 years of Malik McCord’s time at the Oakland school. But really, schools like Alameda, Piedmont and Berkeley shouldn’t feel that bad, since Bishop O’Dowd has won six North Coast Section championships and three state titles in that span. 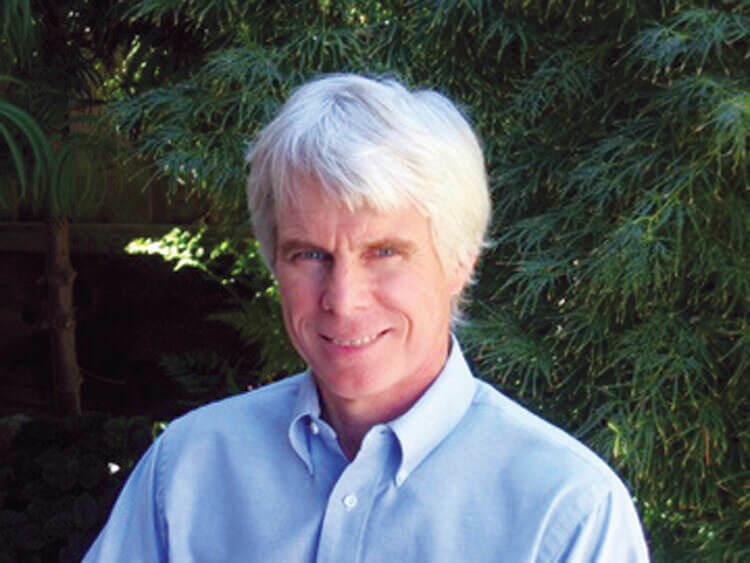 McCord’s overall record is 229-54. 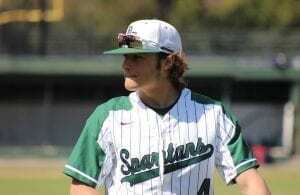 This year, with nine returners from the Division II NCS championship team (and one of the eight teams chosen for the NorCal Open Division), the Dragons might have one of their best teams in McCord’s tenure. One question, though, is youth. There are only two seniors on the roster, and as every coach will tell you, the best thing about young players is that the next season they’re a year older. On top of that, the one missing piece from last year’s team is Zakiya Mahoney. She not only led the team in rebounds but also inspired her teammates with her Beast Mode style of play. But Love, like her coach, is confident the Dragons will build on last year’s success. One thing they’re hungry for is a state title, something this group hasn’t experienced. Lexi Love is the other returning senior for the Dragons this season. 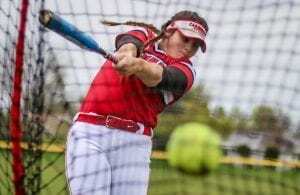 Fueling that drive will be a horde of talented juniors, so talented that highly recruited Daylee Dunn will be battling for playing time on a deep roster. McCord knows how good his team can be, so he’s loading up his schedule with quality opponents. 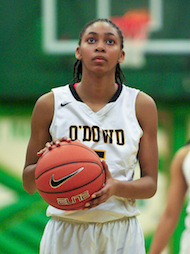 Last season Bishop O’Dowd lost 11 games, but the Dragons were ready to spit fire when the postseason came. And though both Love and Holland are top-shelf players — Love will play for Brown next year and Holland has offers from Pacific and Northern Colorado — they have some things they need to fix as well. “I’ve worked on being more aggressive,” said Love, who has relied on her smooth 3-point stroke in the past. As a left-hander, she has an intrinsic advantage over defenders, whose muscle memory is filled with right-handed opponents. So she’s definitely looking to attack off the dribble more. 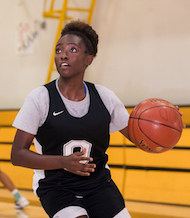 Junior wing Daylee Dunn may be the most recruited player from this group when all is said and done. Both Love and Holland know they must be the leaders, though they approach that role in different ways. Holland is the better defender, according to McCord. 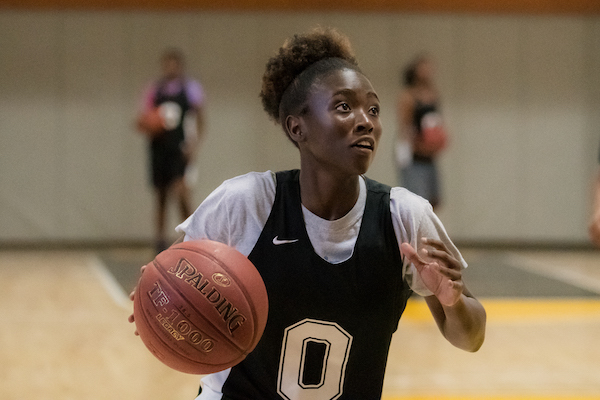 Love is more of “a true point guard,” but the versatility of the two seniors — in a lot of aspects — is a big plus for Bishop O’Dowd. Junior post Skylar McGlockton is another key returning player for the Dragons. And speaking of good, just how good can this Dragon team be? That long winning streak in the WAC seems safe enough, and another NCS Division II title is certainly possible. But what about the state championship the seniors want so badly? The answer to that depends in many ways on what NorCal division Bishop O’Dowd winds up in. Last year, they were one of eight Open teams and drew national-No. 1 Archbishop Mitty-San Jose in the first round — and that ended the season. Mitty isn’t quite as good this time around. However, teams like Pinewood-Los Altos Hills, Salesian-Richmond and St. Mary’s-Stockton appear to be Open favorites. The chances of winning a title in Division I are probably better, but that’s no cakewalk either. 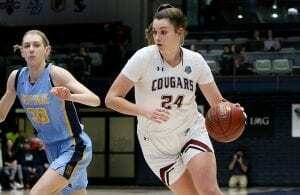 Teams like Cardinal Newman-Santa Rosa, St. Joseph Notre Dame-Alameda, McClatchy-Sacramento, Miramonte-Orinda and Carondelet-Concord are each in that mix. 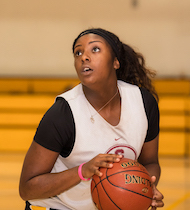 If so, more than just the teams in the WAC will have to worry about Bishop O’Dowd — and instead of “Here be dragons” out on the fringes of the girls basketball map in the state, these Dragons will be right at the center of the action.